Home/Activities, Attraction, Events/Plan an action packed holiday to Co. Sligo this Easter break. 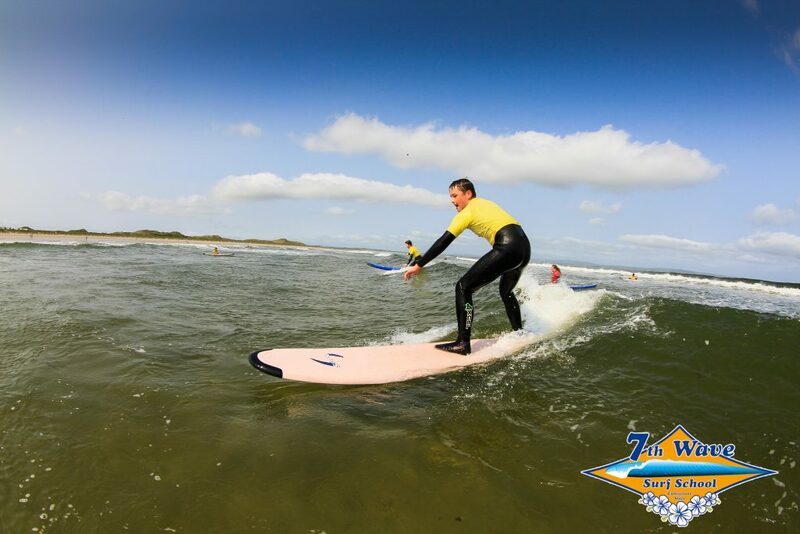 Experience Sligo like never before with an abundance of fantastic activities available to us all year round. Here are just a few ideas when planning your visit to Co. Sligo over the Easter holidays. 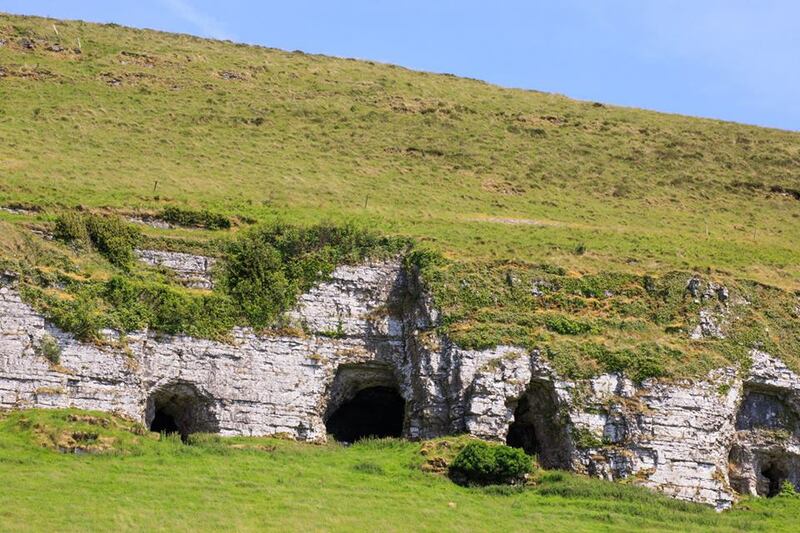 Cawleys of Tubbercurry and Wild Wet Adventures have joined together to allow you to experience the Ox Mountains from stunning heights and mysterious depths with the Fort Walk and Mysterious Cave experience. Our guides will introduce you to a fort in a dramatic south Sligo location off the beaten track and enthral you with tales of its history and folklore. 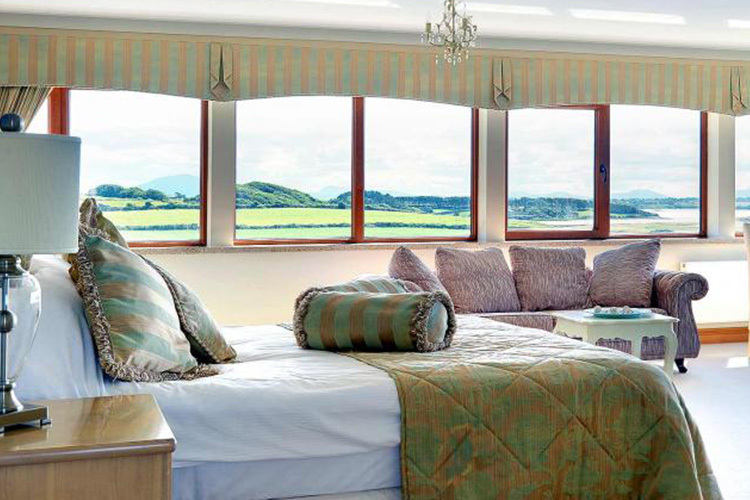 You will be stunned by the views of the surrounding country side. We can combine this with a visit to a religious settlement and or perhaps a souterrain where you will experience the mystery and beauty of our hidden cave gems in South Sligo. You will experience the Ox mountains above and below ground. There are times when you wander around the Wild Atlantic way you look at the beauty Ireland has to offer and you ask yourself, have I seen it all? The answer quite frankly is no, not until you explore the enchanted Caves of Keash. These are a series of 16 Caves located on a Mountain side formed by the Ice Age and bursting with secrets of the past. 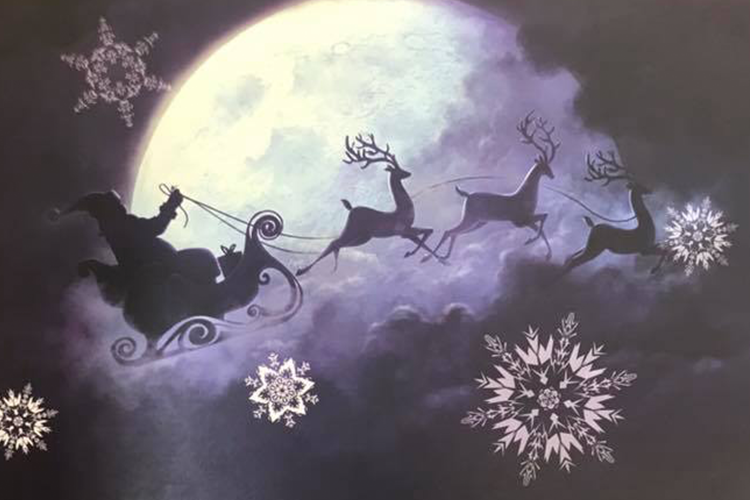 For it was here a High King of Ireland was born and reared by a she wolf, it was here Diarmuid and Gráinne escaped to and it was here Fionn Mac Cumhaill was captured by the 3 hideous hags. 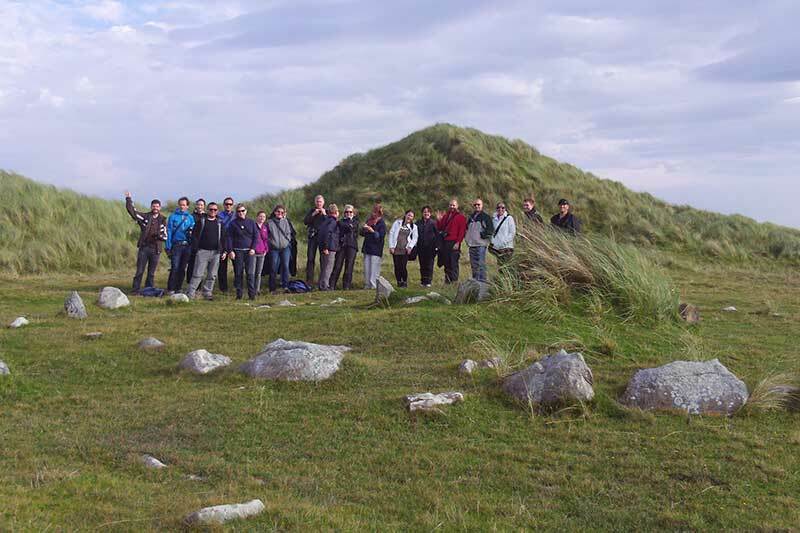 Take the two-hour tour and walk in the footsteps of King Cormac Mac Airt. Gain knowledge of the caves existence through time and take in the amazing views as you walk the short hike to the entrance to the otherworld. 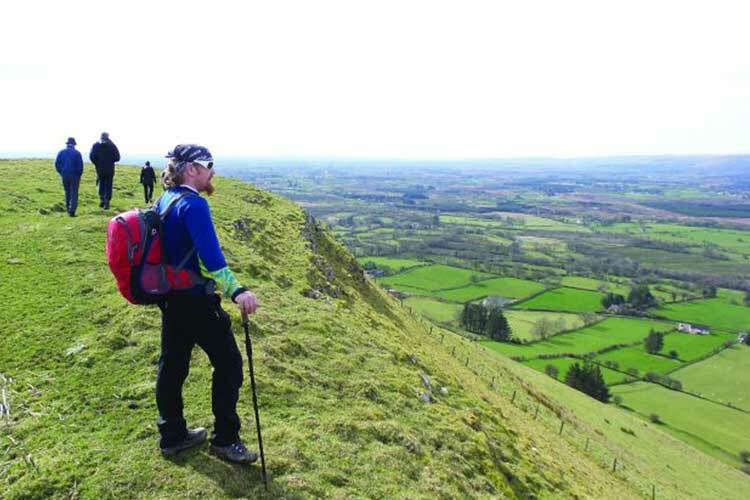 ‘Explore the ancient megalithic tombs of Carrowkeel in the gorgeous Brickleve Mountains of South County Sligo. Your archaeologist guide, Auriel Robinson, will take you back in time on this fabulous trek providing information on local history, archaeology, mythology and local flora and fauna. Auriel is very passionate about Carrowkeel and her enthusiasm about the age-old graves that date back to before the Egyptian pyramids is infectious. She will show you things you would never find yourself and you will be amazed’. All you need is a sense of adventure! *This trek is suitable for families and groups. With a guided tour, show and touch- zoo, the experience is two hours long. Did you ever dream of Eagles swooping only inches above your head or having a bird of prey landing on your bare hands? Eagles Flying, with more than 100 raptors Irelands largest Bird of Prey Centre, makes your dreams come true. Our unique training methods make it possible to allow our visitors to have the closest contact with raptors. You can enjoy this mopst outstanding experience every day, when attending the bird shows. Come and see the “bird whisperers” at work! Of course there are also incredible photo opportunities. In addition to all the information you get during the show, our scientists will answer all your questions for cuddles we have various animals in our Touch-Zoo. Get your pockets picked by Grizzly, the Raccoon or get a kiss for Rosie, our 350kg pig. 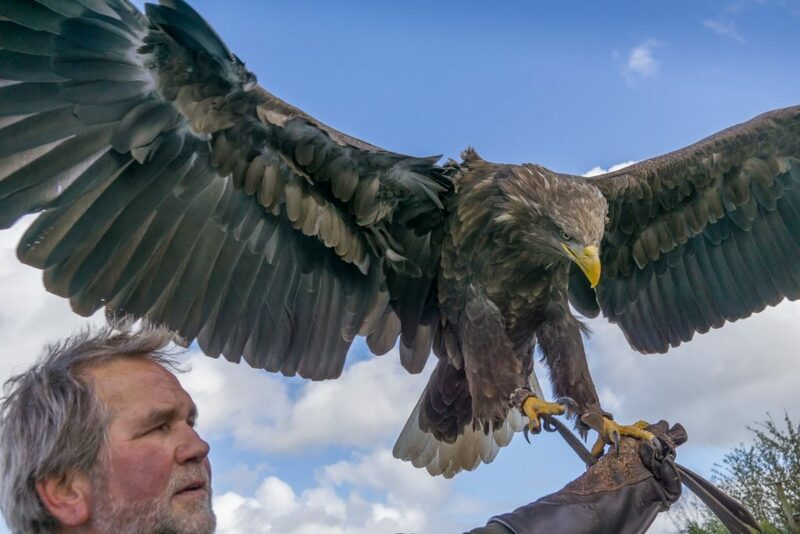 A visit to multi award winning Eagles Flying really is worthwhile. Here’s a fabulous opportunity to take to the beautiful tranquil waters of Temple house lake in South Sligo and learn a new sporting activity Stand up paddle boarding at the same time. The water sports last 90 minutes and includes all equipment with a fully qualified instructor John Barrett of Wild Wet Adventures. Finish off your activity afternoon with a well picnic basket with afternoon tea delights. Coleman Irish Music Centre: A celebration of Irish Music, Culture and Heritage as expressed in the South Sligo Style of music played by Michael Coleman and other musicians of his time. The centre has classes, concerts and tours. Foxford Wollen Mills: An intriguing tale woven in the west of Ireland. See the mill as it’s run today, where master craftspeople are creating contemporary designs that we’re proud to deliver all over the world. Explore the history of Foxford Woollen Mills and learn about techniques that have been passed down through generations. With a rich history of craftmanship Foxford delivers a guided tour, an array of beautiful products and café on site. Visit foxfordwoollenmills.com/pages/tour for details of tour times and booking. Banada Stables: provide onsite pony trekking for all horse-riding levels with professional instructors in attendance at all times. The ponies and horses are impeccably trained and offer riders a safe and wonderful trekking experience. Golfing: Sligo is known for its magnificent and award-winning golf courses. A mini-break in Sligo could pay surprising dividends for the golfing visitor when they venture to South and West Sligo. This compact area offers three very different golf courses to play, test your skills all within 45 minutes of one another. Pretty perfect for maximising the experience over a two or three-day visit. Along the fabled Wild Atlantic Way. The epitome of a links course, it stretches through the magnificent sand dunes on a promontory jutting into Killala Bay at the mouth of the River Moy. Founded in 1918, it was expanded to a full 18 holes back in 1974 and today offers 27 holes to golfers including the par 73 Dunes Championship Links Course. 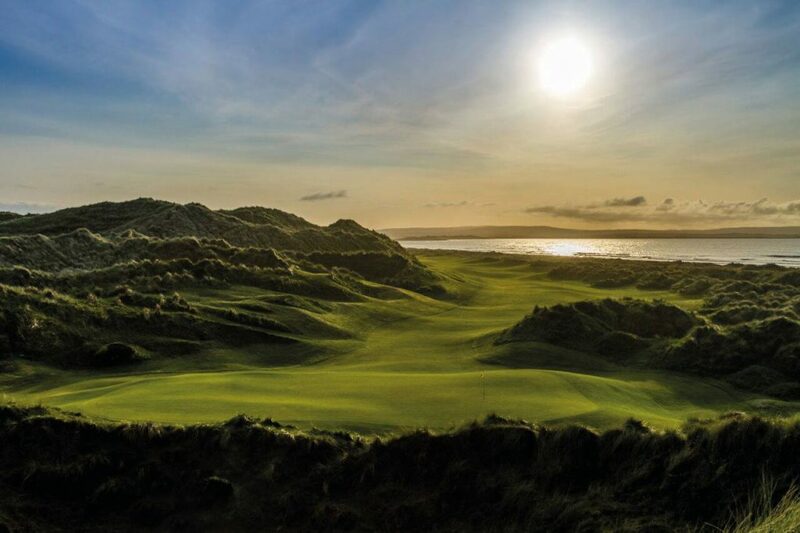 The top-ranked championship links courses was voted “Best in Connacht” by Golfers Guide to Ireland is repeatedly a top-15 links course in Golf Digest’s review of Irish golf courses and a perennial Top-100 UK course from Golf World. A “must play” as described by American golf novelist Tom Coyne. 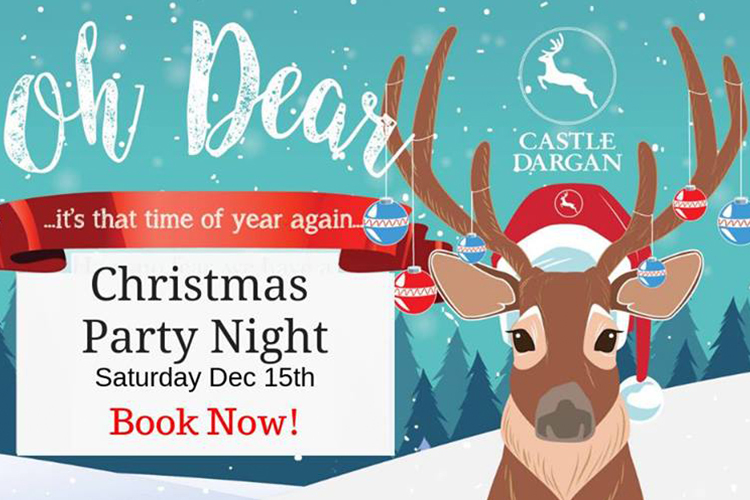 A totally different but equally attractive course adjoins the lovely Castle Dargan Hotel in Ballygawley near Sligo Town. Designed by Darren Clarke, it has truly become the premier parkland golf course in the north west of Ireland. Making the most of the natural ebb and flow of the Sligo estates grounds, Darren has woven eighteen beautiful golf holes through majestic trees and natural lakes and around the ancient stone walls and ruins which dominate this romantic landscape. The result is a quite beautiful golf course of daring beauty. Darren has embraced the land rather than trying to impose his design ideas upon it. He’s clearly proud of it, saying, “Castle Dargan reflects everything I love about the game. It is a club I am proud to be part of”. Watch out for signs of the ancient landscape like ring forts beside the 5th fairway and on the high ground above the 18th hole. 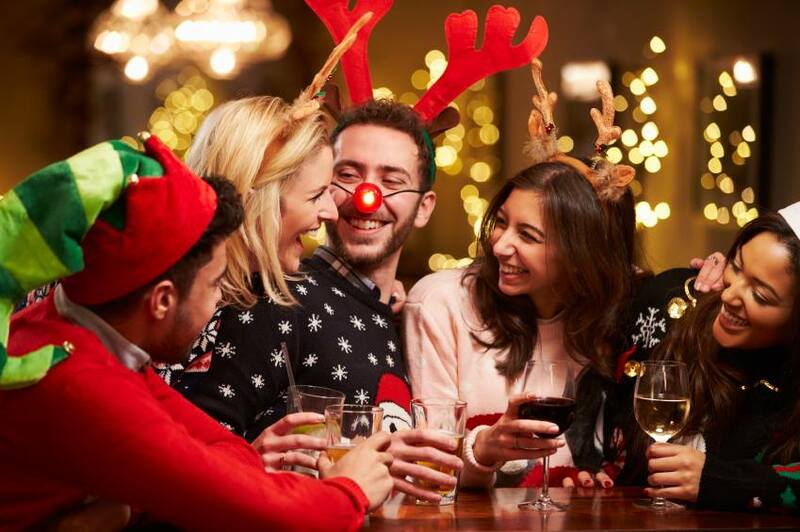 Tubbercurry offers a totally different but equally enjoyable experience. Located right beside the town and nestled at the foot of the picturesque Ox Mountains, it is a challenging 9-hole parkland course. 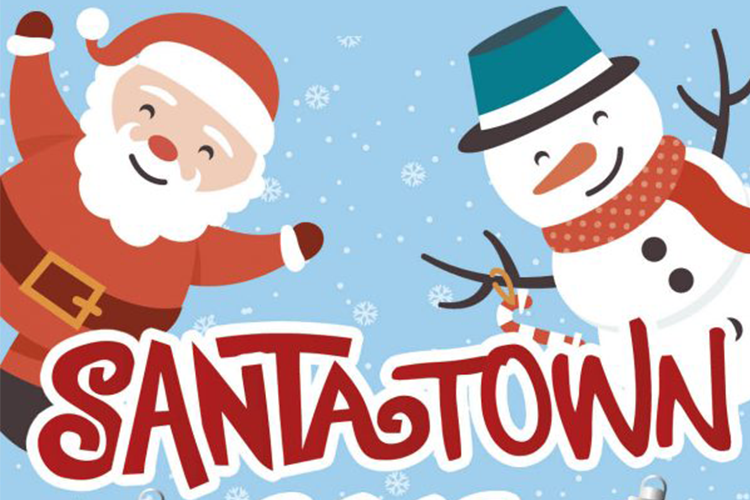 Founded in 1991, it is a friendly club with a real welcome for visitors.